Daniel Segerstad of Swedish ambient trance-tech duo Carbon Based Lifeforms talks with Ambient Music Guide about his third solo album under his Sync24 moniker. AMG: When I first saw the title for the new album I thought it was “Ominous” and so I was puzzled it wasn’t lot of darkish ambient tech/trance. So what’s with the album name? DS: It’s a non-word “omnious” and could mean “all full of everything”. It’s a playful misspelling of ominous that always stuck in my head. This album is all about my freedom to do whatever I want as an independent solo artist. No band members to fight about the sound, no label manager to fight for cover art, tracks, names, release schedule. Don’t get me wrong, there’s a lot of benefits to being part of a band and signed to a label, but it’s an incredible freedom to be free to do whatever you want. When I tried to find an album name that described that feeling it got way too corny, like “living the dream” or “total freedom”. Hence I used Omnious instead. AMG: The album sometimes sounds like your band Carbon Based Lifeforms, and sometimes not. When you’re creating music, how to you decide what ends up on your Sync24 albums and what you record as CBL? DS: When we write music for CBL we usually save little ideas as mp3’s and put in a shared folder. We both must like the idea to make it a CBL track. When I started my solo project Sync24 it was because I had a bunch of ideas that didn’t really fit the CBL sound, and our label at the time [Ultimae] really liked them and asked if I wanted to release them as a solo act. For the new album I deliberately wrote music just for that project, even though some ideas might have ended up as CBL tracks If I had put them in the shared folder. And to be honest, “Nattväsen” on our last album Derelicts (2017) would probably have been on Ominous if I was working on both albums at the same time. AMG: I thought “Nattväsen” was the standout from Derelicts, the one with the child’s narration about forest creatures and living underground and stuff. There’s an eerie fairytale quality to some of the pieces on your new album too. What role does Nordic and European mythology play in your creations? DS: I do have a soft spot for that sound and embrace it as often as I can. It’s probably roots from my childhood with the typical Nordic fairy tales. I played a lot in the forests where I grew up and to me a fir forest with loads of green moss, where you can almost see the trolls and fairies, inspires that sound. AMG: I love the acid buzz of the Roland TB-303 on “Bunnies on Shrooms”. Are you using the original Roland box these days or a digital emulator? How good are the emulators in 2018? DS: Me too! As a matter of fact my trusty TB-303’s rests a bit for now and the best hardware clone ever made, the Abstract Instruments Avalon, is doing the job. That’s mostly because it’s very easy to work with and has built in shuffle functionality. I only use hardware when it comes to the 303 sound, even live. But from what I hear there are a few decent emulators out there. 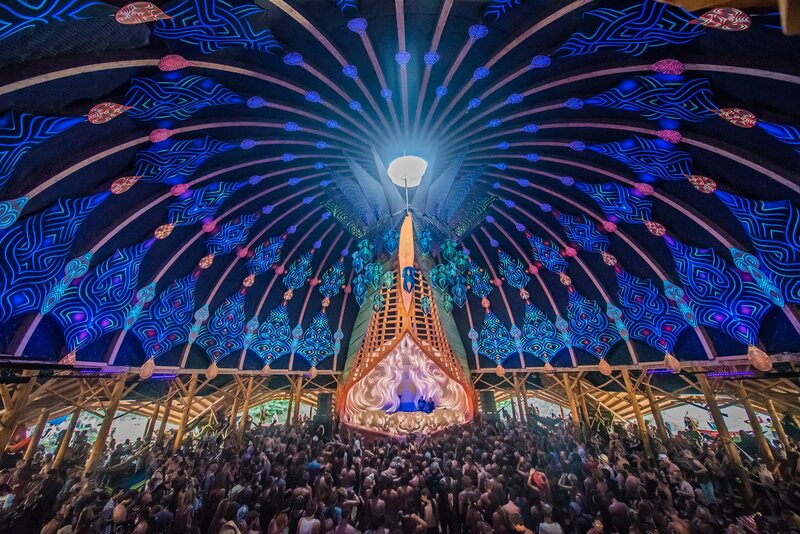 AMG: I noticed Carbon Based Lifeforms has been playing live shows in recent years, including some big festivals. How is live performance affecting the music you make in the studio? DS: It doesn’t really, but sometimes one can’t wait to hear a certain track in a big PA system . 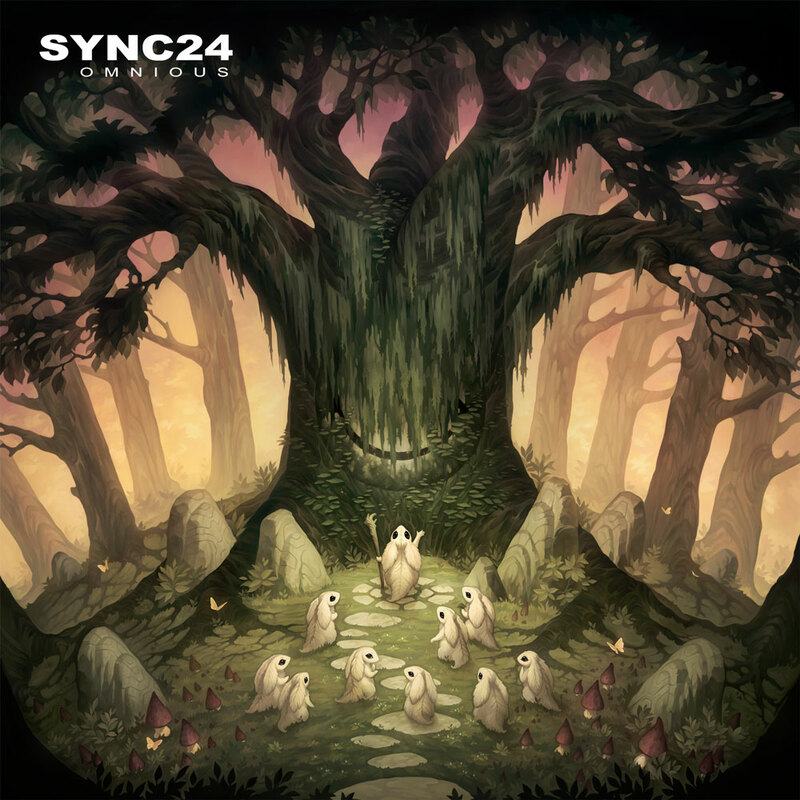 “Dance Of The Droids” by Sync24 was such a track, and I can’t wait to blast “Bunnies On Shrooms” on a PA. The only thing really is there is only so much groove and dancing you can get from chillout music, so I always wanted to return to dance music which is where I started. So the follow up to Omnious that I’m already working on is going to be just that.